The incident briefly locked down Bozarth Elementary School. This is a roundup of all the breaking news from around the Las Vegas valley for August 28, 2018. Police say a fight over drugs and money may have led to shooting of a man at a shopping center near Eastern and Owens avenues. READ MORE . Las Vegas Metropolitan Police Watch Commander say that a man suffered non-life-threatening injuries after being shot on the 4600 block of Vegas Drive, just east of North Decatur Boulevard. Las Vegas Fire and Rescue officials report that one adult has been hospitalized with moderate burns after an explosion in the garage at their home located on the 5200 block of Del Monte Avenue, near South Decatur Boulevard and West Oakey Boulevard, started a huge blaze. One other adult in the house escaped without injury. The Clark County Fire Department responded to a fire in a vacant structure at 4645 E. Utah Ave., near Nellis and Charleston boulevards. First arriving units reported light smoke visible from the chimney and the roof. When crews entered the building, they found a fire in the fireplace and another fire in another part of the building. The fires were extinguished by 3:26 p.m.. A search of the home found it to be vacant. The cause of the fires is under investigation. The fires did not extend into the structure itself and there was no major damage to the building. No injuries were reported. Las Vegas police have arrested man who was refusing to come out of vehicle on Breakfast Hill Street earlier. The incident is over. 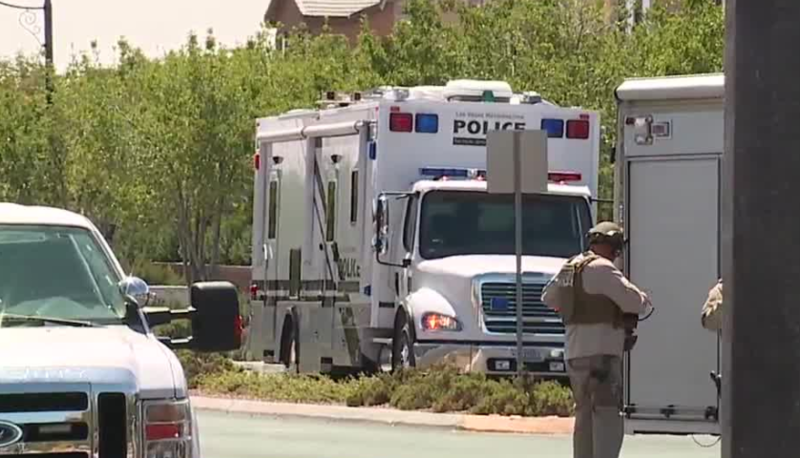 Bozarth Elementary School is on lockdown due to a barricade situation nearby in the 7200 block of Breakfast Hill Street, near Farm Road and Hualapai Way. A woman went to her place of employment and then called police saying there was a domestic disturbance at her residence, saying a man pointed a gun at her around 9 a.m. Police went into the neighborhood to conduct a followup investigation and found the man driving in his vehicle. Police stopped the vehicle but the man refused to exit the vehicle. SWAT has been requested. No injuries have been reported. All lanes on southbound Interstate 11 have reopened after this morning's fatal crash. READ MORE . College of Southern Nevada received a report of an injured man in a restroom on the Charleston Campus. Upon arrival, CSN police discovered a man with an apparently self-inflicted gunshot wound to his arm. The man was transported to the hospital with injuries that are not considered life-threatening. No one else was injured. A handgun was recovered at the scene. Police continue to investigate. Las Vegas police are responding to a barricade situation in the 1900 block of Simmons Street, near Vegas Drive. Police received reports of a man with a gun. Police arrived and the man will not come out of the apartment unit. Surrounding units are being evacuated and traffic on Simmons Street is affected. 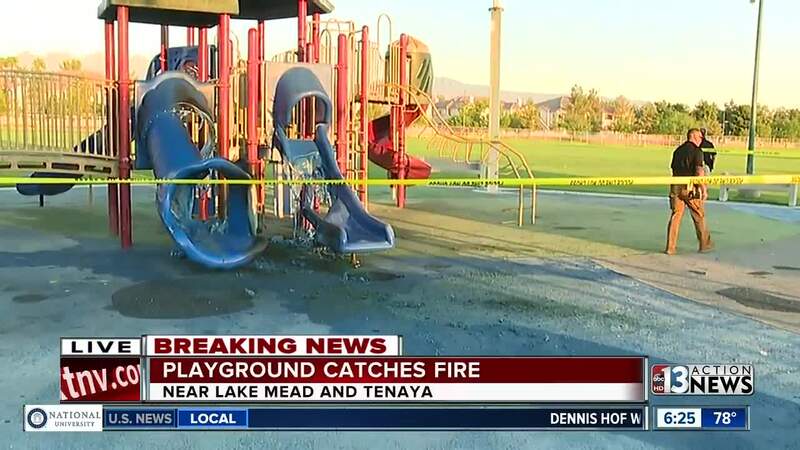 Las Vegas Fire & Rescue responded to a fire at a playground near the Bettye Wilson Soccer Complex near Lake Mead Boulevard and Tenaya Way. No injuries, arson suspected. 2 people have been killed in a crash on southbound Interstate 11 near Boulder City. 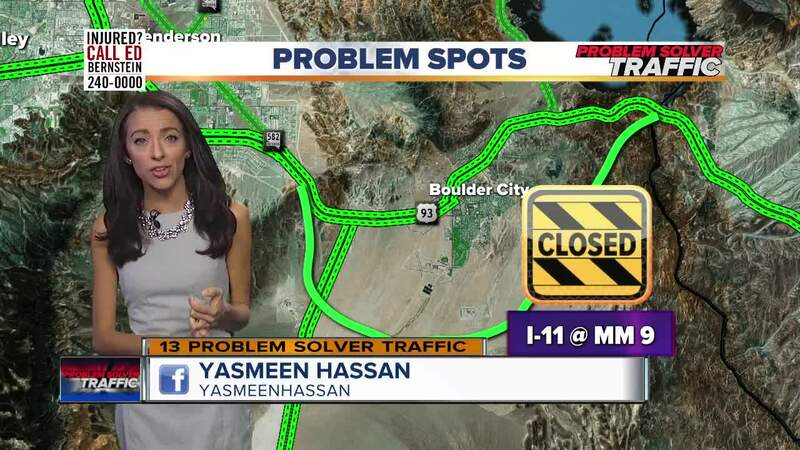 Traffic is being diverted onto US93/US95. Avoid the area, expect delays. READ MORE .